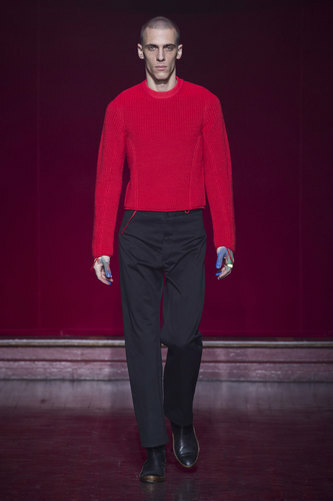 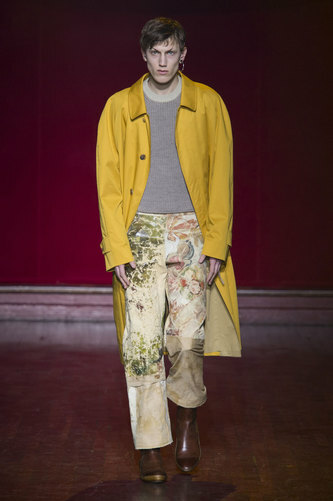 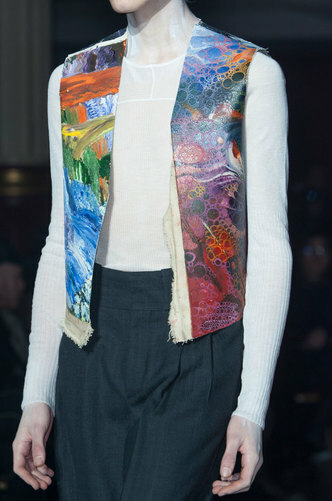 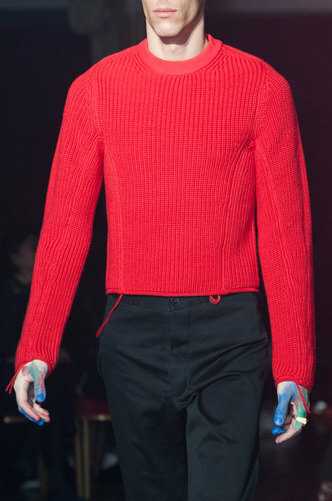 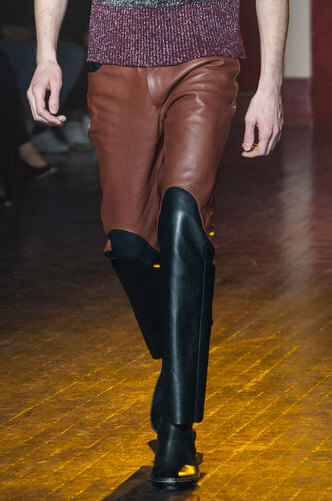 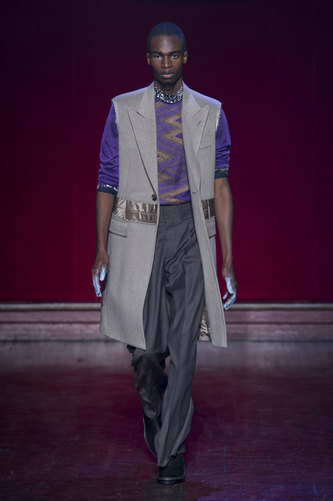 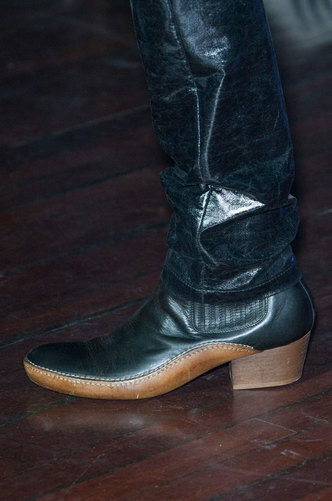 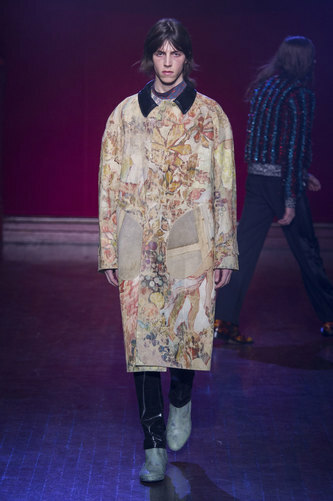 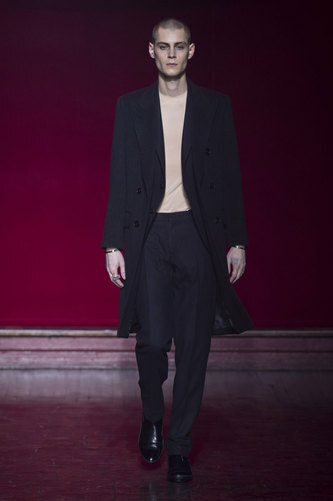 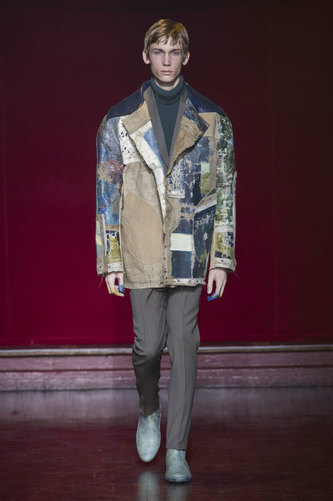 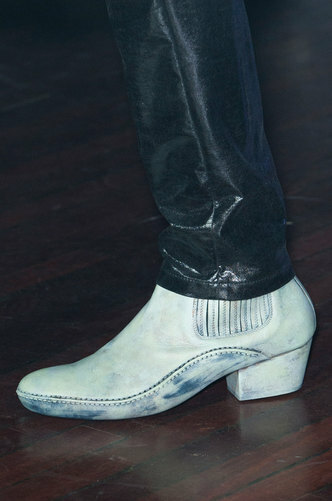 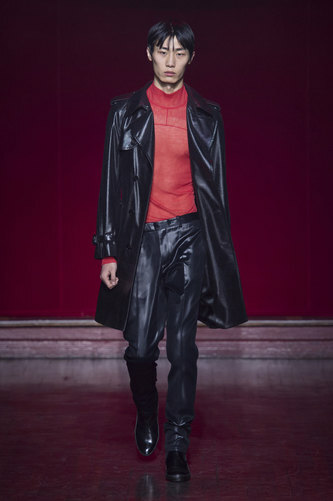 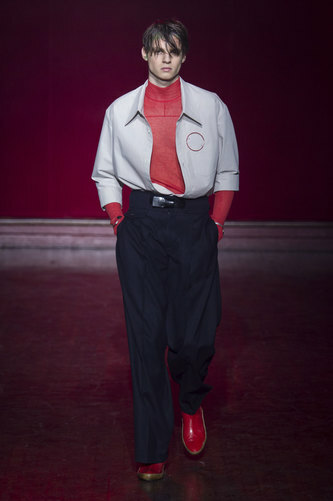 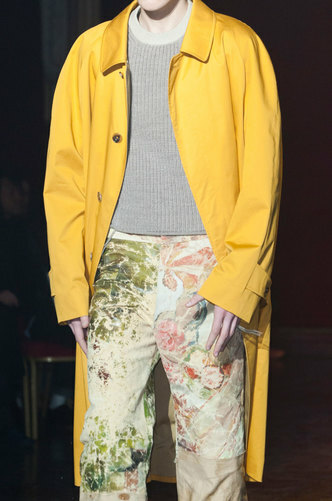 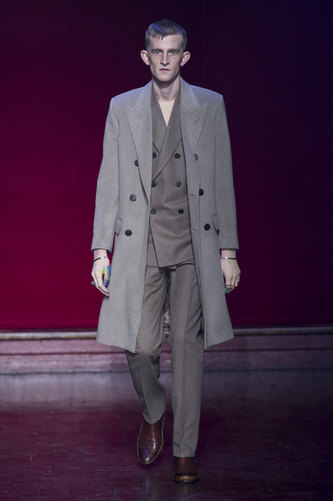 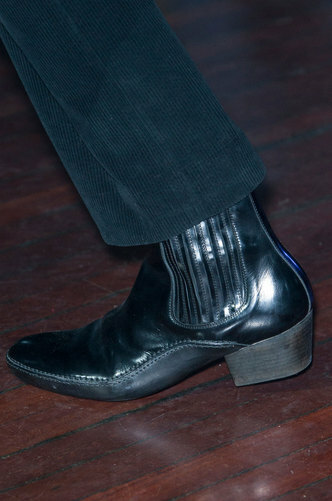 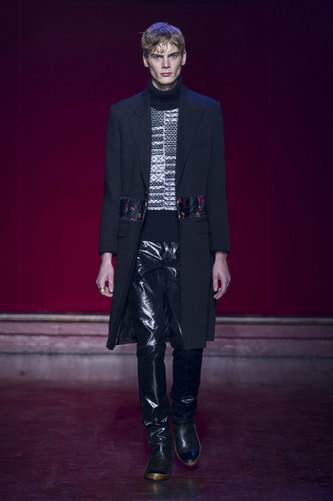 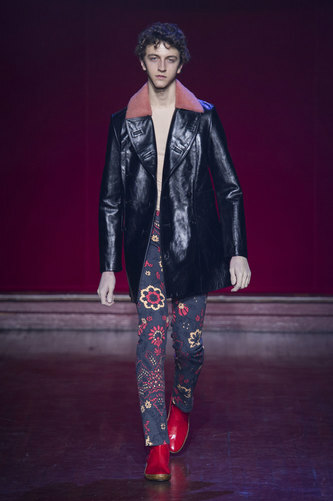 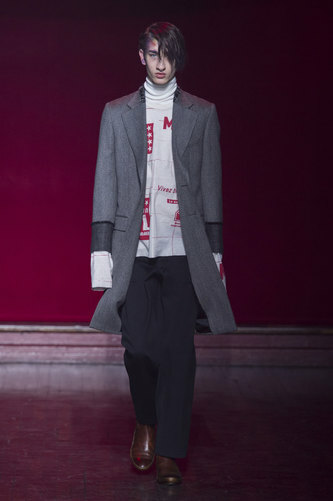 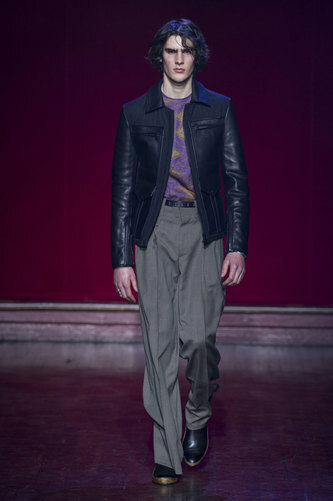 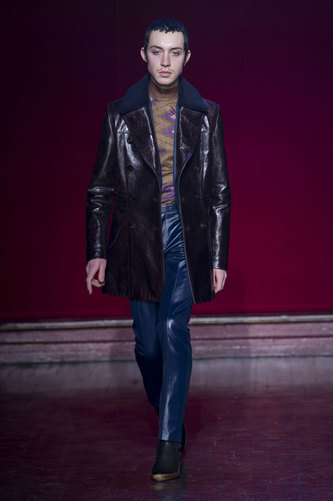 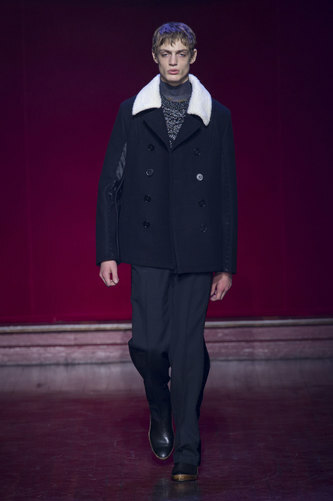 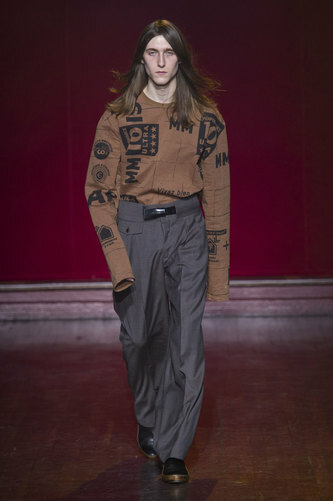 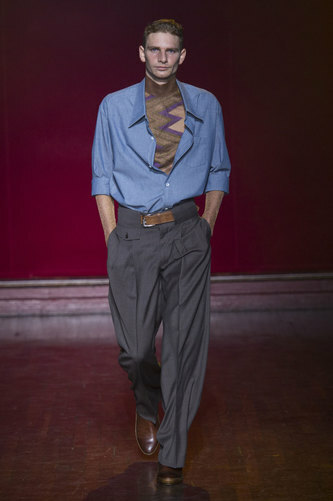 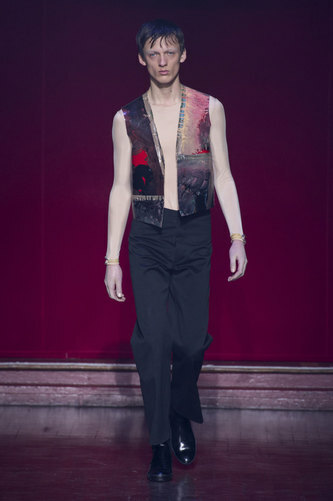 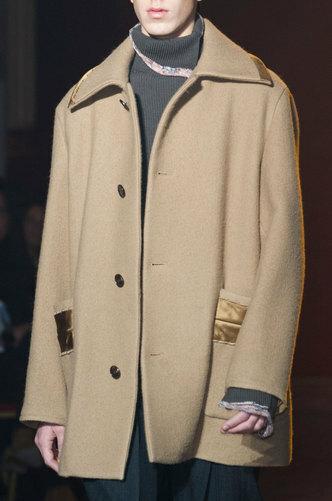 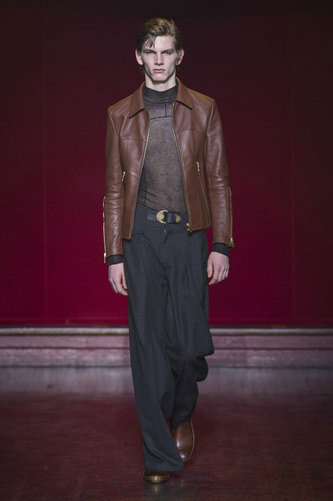 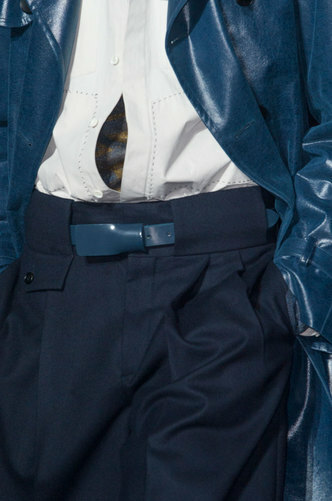 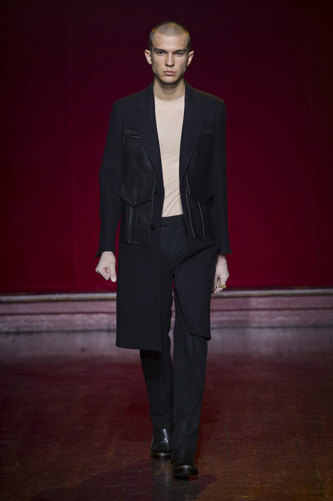 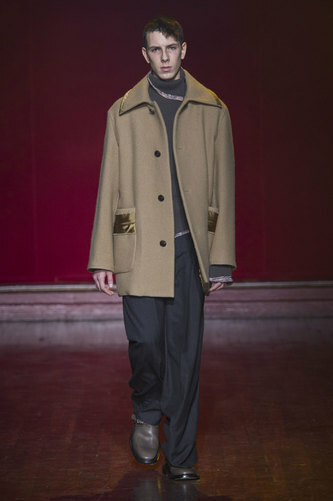 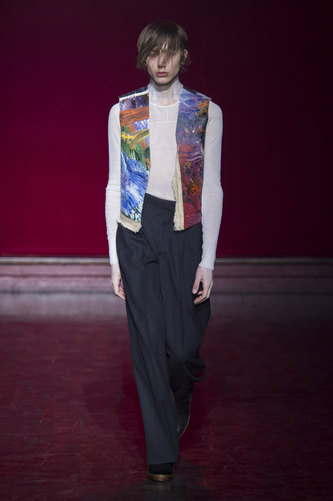 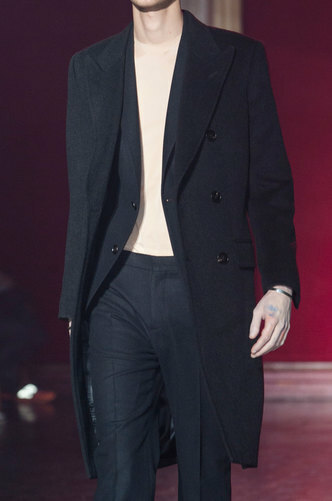 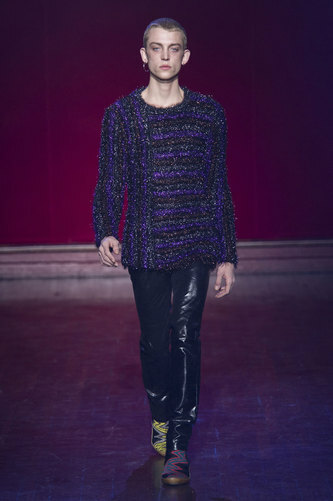 Maison Martin Margiela Man Autumn-Winter 2015-16 – Margiela headed down a more eccentric and retro look; lilacs, blues, cerise pinks and all pulled together with dull undertones from beiges and blacks. 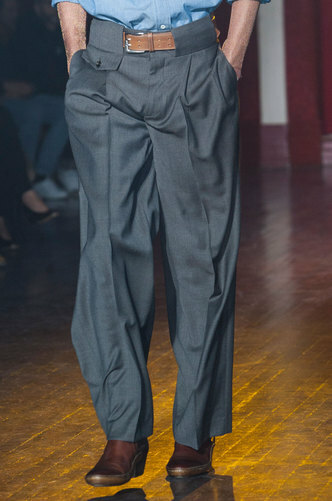 Over-sized flair trousers add more shape to the figure whilst the high-waisted and gathered waistline pulls the items together. 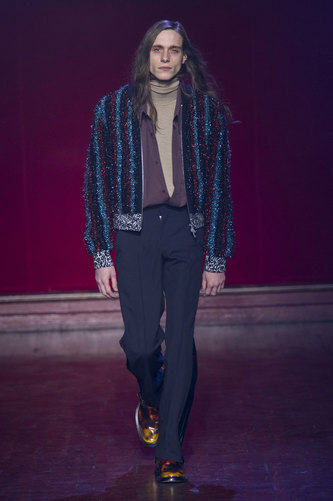 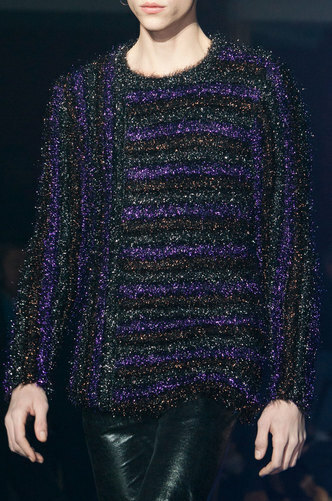 A lot of comfort appeals through the first few lines due to the fabrics used; velvet with light knitwear compliments each other with the brushed fabric and the colour balance. 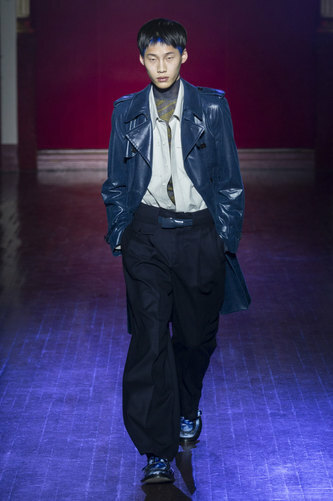 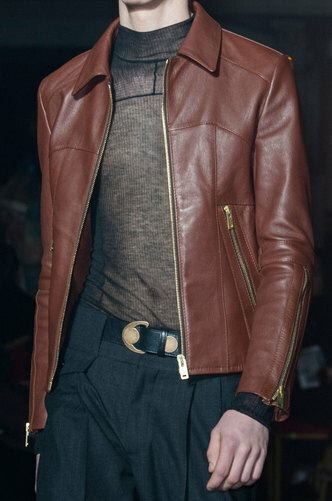 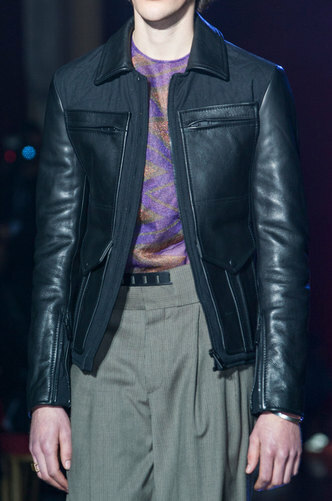 Well-fitted leather coats and jackets put together a casual look; layered over tight fitting sheer tops emit a sleeker, more feminine appearance. 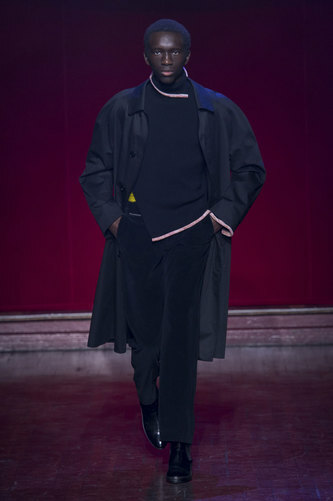 On the other hand, boxy shaped oversized jackets create a more solid look with a comfortable function that can be worn anywhere to any occasion. 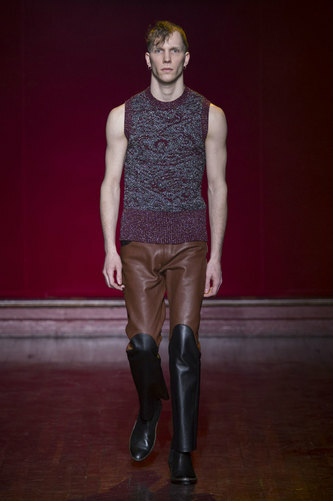 If you don’t tend to feel the cold, you can always check out the use and wear of a knitted vest in rich colours, teamed with a simple pair of leather trousers or a dress vest in a bold print.